An expedited bill introduced by Montgomery County Council President Nancy Floreen would make collective bargaining with County employees more "transparent," she says. Its language evokes anti-labor initiatives by the Koch Brothers, a curious choice of inspiration in a blue jurisdiction like Montgomery. "Council President Nancy Floreen is introducing a bill that would gut collective bargaining rights in Montgomery County," said Amy Millar, who is the lead negotiator for the UFCW Local 1994 MCGEO union. "The attacks [on public employees] never let up," Millar added. According to Millar, the bill would reduce bargaining rights over working conditions, and allow the County Executive to ordain a "permanent umpire without union input." That refers to a provision in Floreen's bill that would strip all union power to determine who the County Executive and Council appoint as the Labor Relations Administrator. The LRA is a powerful position, because he or she has the authority to declare that either the executive or the union has violated the terms of the collective bargaining agreement. If only the County can choose the LRA...well, you can guess who would be favored. Floreen's bill would also allow retired judges, as opposed to only those with neutral history in labor disputes, to be LRAs. That could introduce a bias, as judges are appointed by the same government officials who bargain with public employee unions. On page 5 of the bill, number 17 would allow the County government to "create, alter, combine, contract out (italics and underlining added by me), or abolish any job classification, department, operation, unit, or other division or service, provided that no contracting of work which will displace employees may be undertaken by the employer unless ninety (90) days prior to signing the contract, or such other date of notice as agreed by parties. written notice has been given to the certified representative." Millar says the bill's language "comes right out of ALEC model legislation," referring to the Koch Industries-backed American Legislative Exchange Council. Floreen's support of Koch Brothers initiatives is only the latest Council link to Wall Street. Councilmember Hans Riemer's campaigns have been funded by numerous Wall Street firms and their lobbyists, including Mitt Romney's Bain Capital and Danaher Corporation, both pioneers in outsourcing American jobs to China and Mexico. 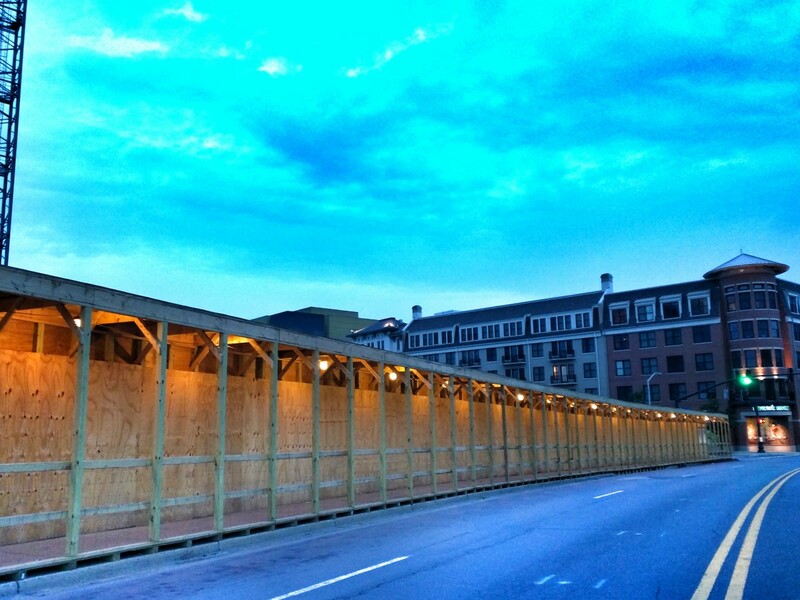 You may have noticed the covered walkway that has been up for awhile now at the Kettler project on N. Washington Street. There was also an unplanned addition a graffiti artist made, a portrait of a mystery man. 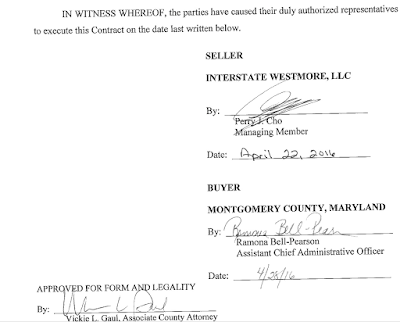 Leggett removes Carver and Westmore from bus depot list - who's next? Residents in Lincoln Park and around the Carver Educational Services Center in Rockville are celebrating the success of their efforts to stop Montgomery County from relocating the Shady Grove school bus depot to their neighborhoods. County Executive Ike Leggett sent a memo to County Council President Nancy Floreen yesterday announcing he is withdrawing the current Declaration of No Further Need for the existing depot on Crabbs Branch Way, and is removing Carver and 1000 Westmore Avenue from the list of potential depot sites. While neighbors of 1000 Westmore won't likely complain, the County did end up blowing $12,000,000 on its purchase of the Westmore site in what it claimed was a budget time so tight that taxes were raised to the highest level in County history last month. 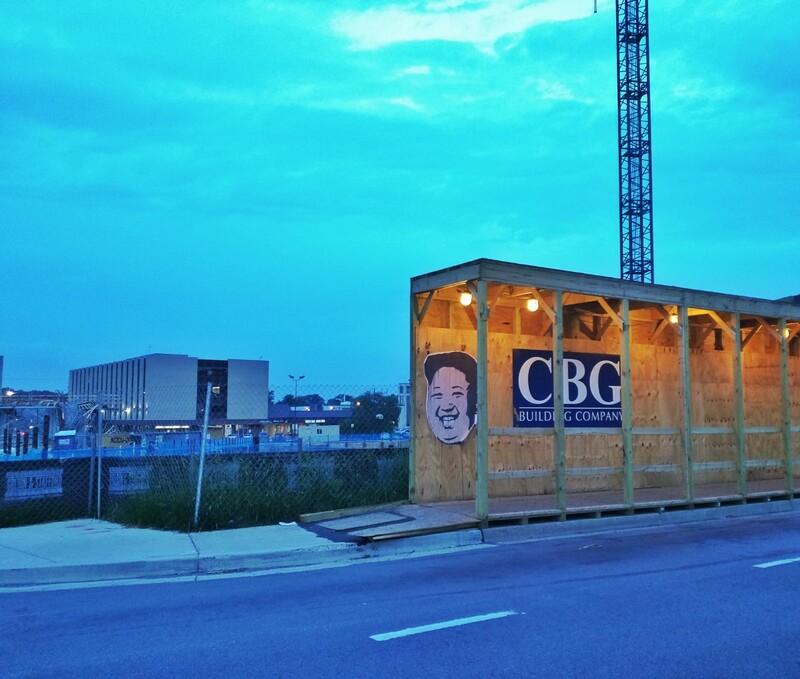 The Crabbs Branch depot was to be vacated in 2017, and sold to a developer who would build townhomes and apartments on the site near Shady Grove Metro station. But the letter makes clear that this so-called "Smart Growth Initiative" is not over. Leggett states that he is having his staff find more suitable locations than Carver or Westmore. The problem, of course, is that every potential depot site also has residents nearby. You'll notice that, despite fierce community opposition, Leggett pointedly did not remove the Blair Ewing Center from the potential depot sites in his memo. 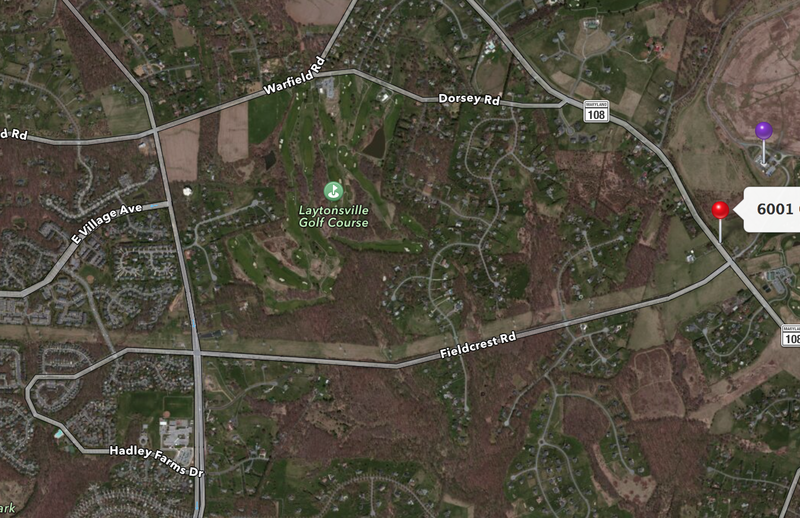 And another bad choice, the Oaks Landfill at 6001 Olney-Laytonsville Road, is one councilmembers like Hans Riemer explicitly stated they want to have a public discussion about. 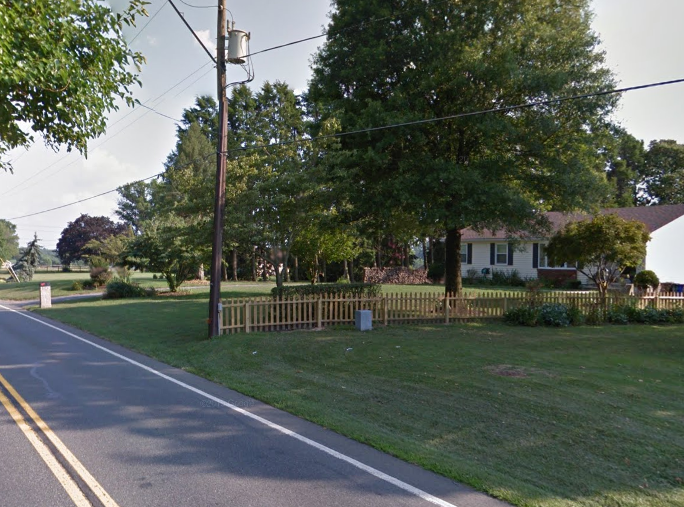 There are several residential subdvisions right around the site, and homes directly across the road from it. 410 buses would honk their horns and test their backup beepers each morning at 6:00 AM. The only other site given serious public consideration last year was a property near the intersection of Woodfield Road and Snouffer School Road, also near homes. 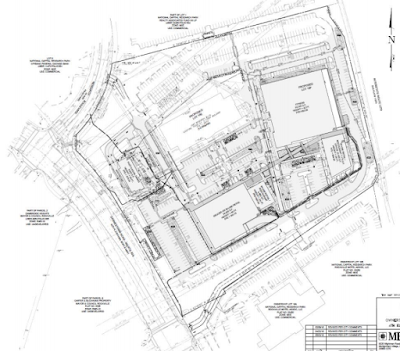 Much of Rockville is now off the hook in this crazy, developer-fueled crusade - but the battle is just starting at these, and potentially other, poor choices for the depot site around the County. 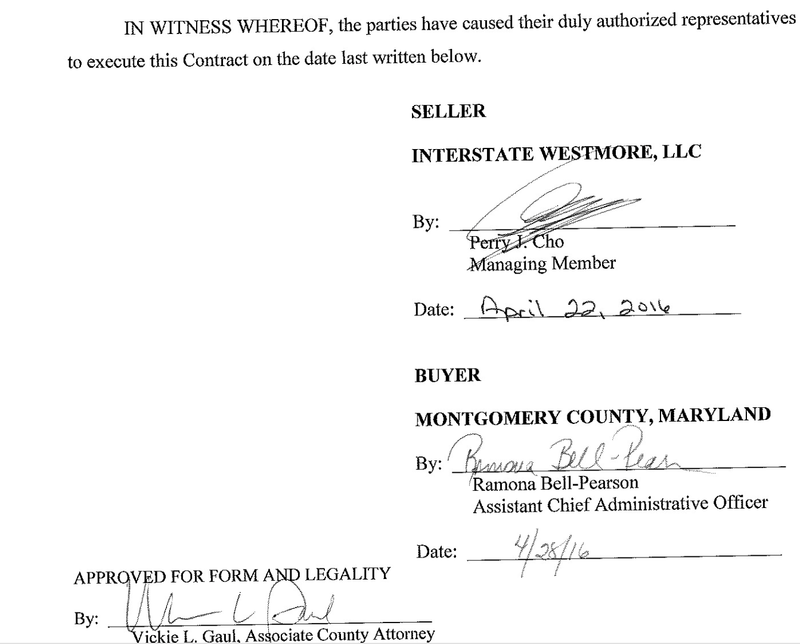 Residents near those locations are waking up to find the MoCo political cartel is headed their way. 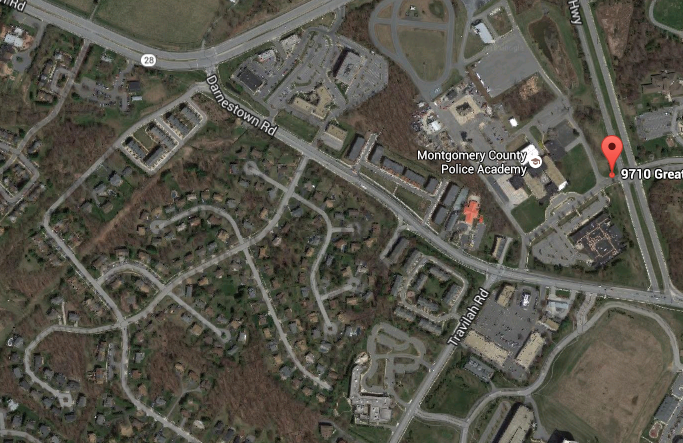 "Talked to death in Rockville" is a good summary of yesterday's Montgomery County Council worksession on the controversial attempts to relocate the Montgomery County Public Schools bus depot in Shady Grove. That site is supposed to be cleared by next year, so that a developer can build hundreds of townhomes and apartments there. By the end of the meeting, no votes were taken and no plan of action was determined. 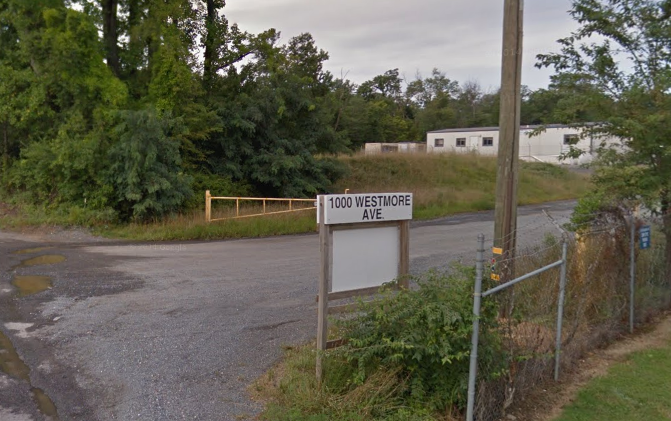 While Council President Nancy Floreen did not allow a resolution to deny the Declaration of No Further Need for the Shady Grove site, by the end of the meeting she agreed to bring one forward, likely next week. The County Department of General Services was directed by Floreen to bring back a cost-benefits study for the scenario of simply leaving the depot where it is, and to provide a list of temporary and permanent sites where the buses could be moved. But none of this officially rules out the use of Carver Educational Services Center, 1000 Westmore Avenue or the Blair Ewing Center on Avery Road, all of which have been rejected soundly by residents who would be impacted. Depending which councilmember you listen to, there are all kinds of potential outcomes, and all but one (keeping the depot at Shady Grove) would place a school bus depot in someone's neighborhood. 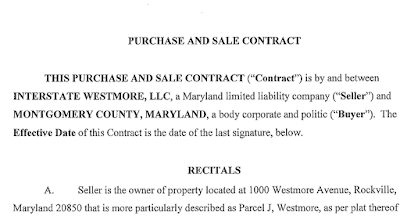 Only two councilmembers, Sid Katz (who represents Rockville) and Marc Elrich (an at-large member), explicitly said Carver, Westmore and Avery should be removed from the list of sites under consideration. Save Blair Ewing, a resident organization fighting a bus depot on that site, is now leading a letter/email-writing campaign to sway three more councilmembers to join Katz and Elrich in placing language eliminating those sites from the list. So next week, the Council may unanimously vote to say that the Shady Grove depot is, in fact, still needed by the County. Does that kill the Carver/Westmore/Avery plans? Not unless that language is included in the resolution, and even then, the legal ramifications of leaving the buses in place after a developer has spent millions on its plans remain to be determined. 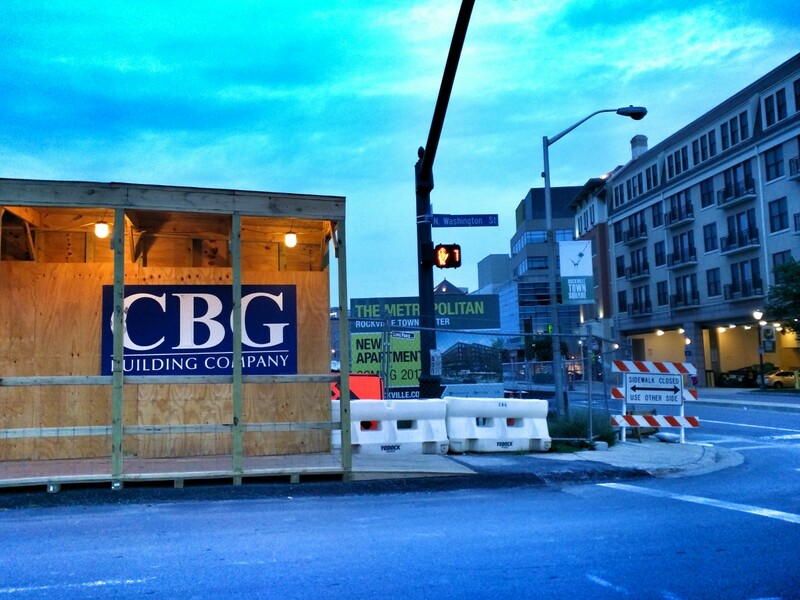 The Council also assumes that County Executive Ike Leggett could indeed reopen talks with the developer to give the County more time to relocate the depot. There's no guarantee of that, either. The Council did talk a lot, though. To their credit, at least a few councilmembers somewhat accepted the blame for their role in allowing this depot debacle to happen. 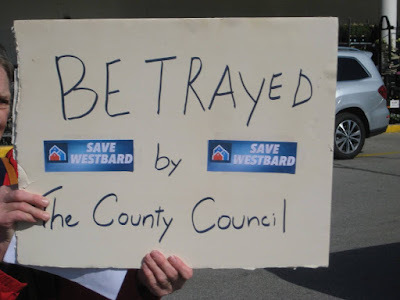 Councilmembers George Leventhal, Roger Berliner, and Hans Riemer were particularly candid in acknowledging the Council blew it with the Shady Grove plan. "In hindsight, that plan was unwise," Leventhal conceded to his constituents in the audience. Interestingly, while many on the Council have vehemently argued that residential development will provide large amounts of tax revenue to the County, Leventhal and a few of his colleagues are now coming around to acknowledge what I've been saying for a decade - new residential growth does not pay for itself, and in fact, costs more in services than it brings in in new revenue. The County's structural budget deficit is proof of that. Leventhal estimated the County has spent $407 million on the Shady Grove "Smart Growth Initiative" so far. When will that expenditure "pay for itself" as Leggett promised years ago, Leventhal asked David Dise, Director of DGS. 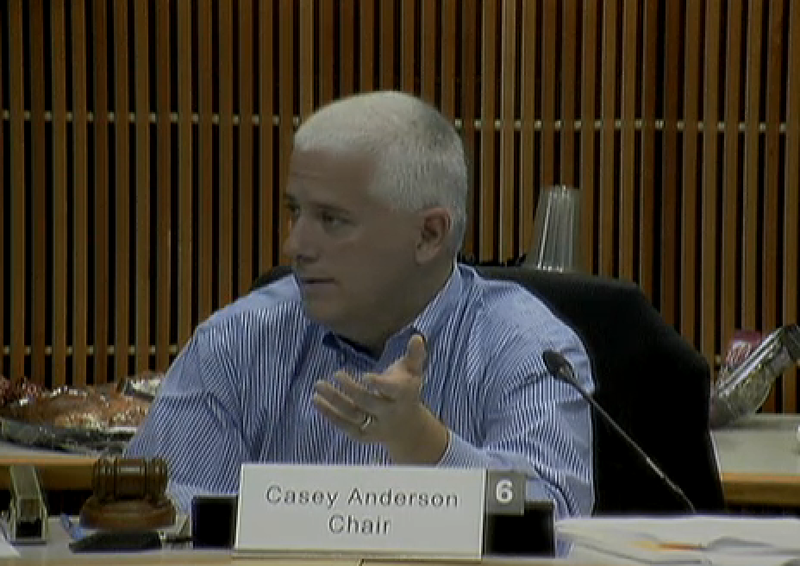 He also suggested they add the cost of County services and schools to the cost-benefit analysis. "If I'm in a hole, do I need to keep digging," asked Elrich of the Council's predicament. 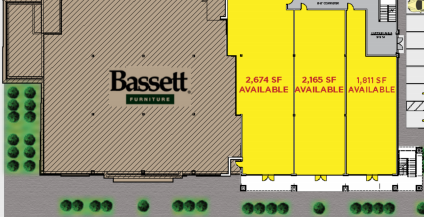 He too questioned if the potential revenue would cover the cost of relocating the depot, which he said may be "the best location we'll ever have" for it. 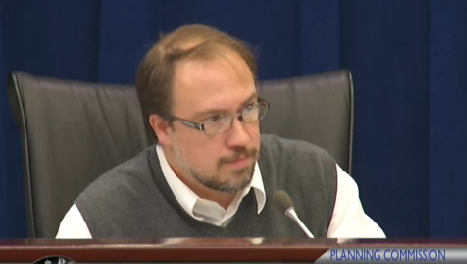 "We shouldn't be doing this," Elrich said. "I'm just not willing to do that to people." He counseled Dise to make sure that any site suggestion is accompanied with an explanation of how it would be "better than what you have now." Councilmember Craig Rice, who represents the Upcounty area, misfired with the audience when he launched into a strident defense of the Shady Grove plan. 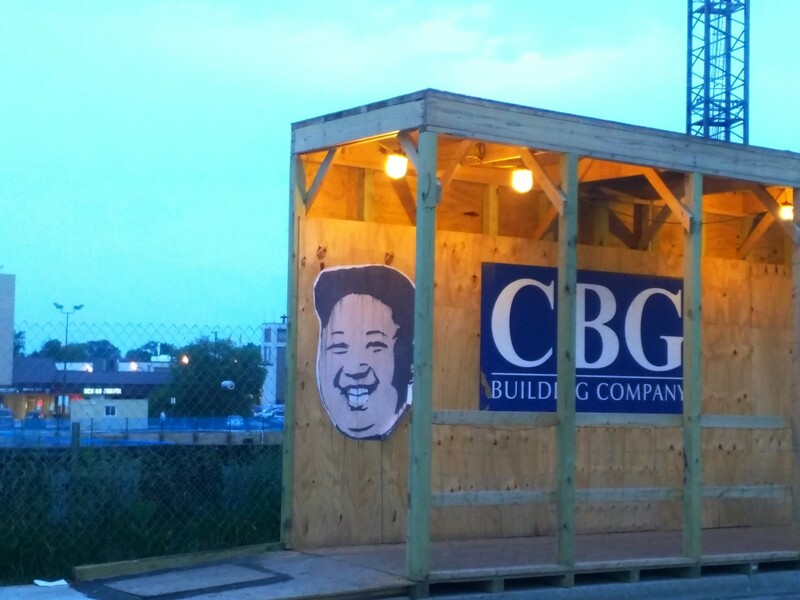 He noted that some of his Clarksburg constituents live right next to a bus depot. Rice then attacked many of his own constituents, saying that "they want to keep those great things that we have in Montgomery County just to themselves." That set off a round of booing and retorts from the audience. Floreen attempted to bring the meeting to order, as Rice hastened to add that he was not referring to the Carver Coaltion. Rice said he wants "to provide housing for everyone," although he didn't explain how that would be possible, or why it is the burden of County residents to accede to overpopulation of already-developed communities. "What we really have here is a mess," observed Katz. 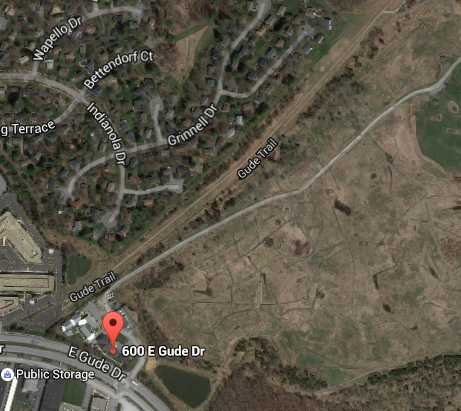 "There is further need for [the Shady Grove depot]. There is no question. 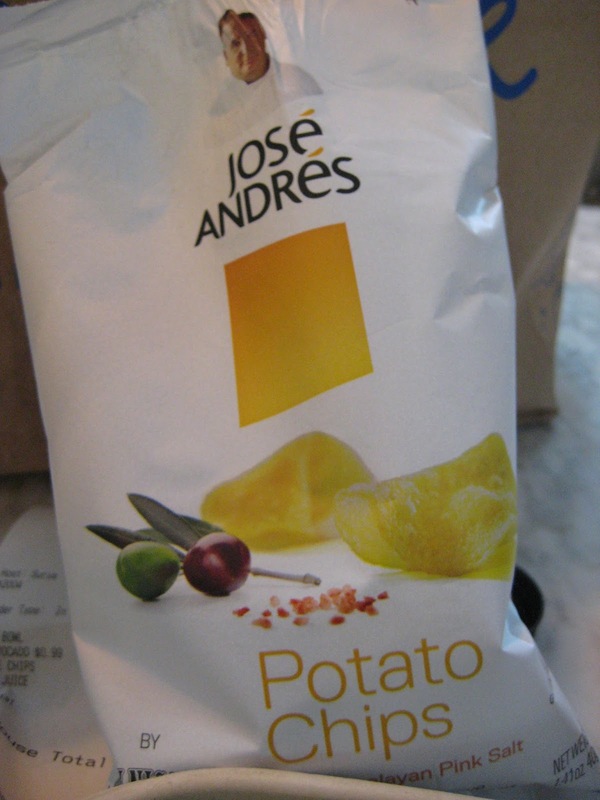 We need to do things in a more transparent way," he added to applause. A new depot "shouldn't be next to anybody's house," or route buses through residential streets, Katz said. Katz argued that the City of Rockville "needs to be brought into the conversation." In explicitly calling for Carver, Westmore and Blair Ewing to be removed from consideration, Katz received another round of applause. "I usually don't get applause when I say, 'No,'" he joked. Summing up the situatiion, Katz concluded 'this does not make any sense. It doesn't make any common sense, and it doesn't make any dollars and sense." Councilmember Nancy Navarro noted she was president of the Board of Education when the Shady Grove sector plan was passed. The plan "seemed to make a lot of sense back in the day," but not in 2016, she said. "It has not yielded the revenues promised by the County." "I'm trying to understand where some votes are," Riemer began, speaking for many in the room. In any case, he said, he would vote against the Declaration of No Further Need the Council must pass to sell the land to the developer. "It's not right to disadvantage current residents to clear a nuisance for future residents," Riemer said. "We played a role in this mess," he acknowledged. But at the same time, Riemer added that "I don't think we can just throw up our hands and walk away." "We all bear some responsibility," Riemer went on, but promised that the Council has finally "taken ownership of the problem." Councilmember Roger Berliner exhorted Floreen to allow a vote on the Declaration of No Further Need during yesterday's session, a request she failed to grant. "The notion that this will be resolved by the end of the year seems pretty far-fetched," Berliner said. He congratulated the Council staff member who prepared the report for her prediction a decade ago that the Shady Grove plan would not pay for itself. "You were right," acknowledged Berliner, before asking Dise to provide "an honest assessment" of the situation. Berliner commended Rockville Mayor Bridget Donnell Newton, who was in attendance, for her work on behalf of her constituents against the Rockville depot proposals. "You've served your community well," Berliner told her. "I think the Carver people can go home happy," Floreen said at the end of the session, despite it having produced no concrete results. When Floreen asked Dise for a list of potential sites, she completely ignored the fact that Council staff had done just that in its report for yesterday's session. The County DGS itself has reviewed 200 properties. 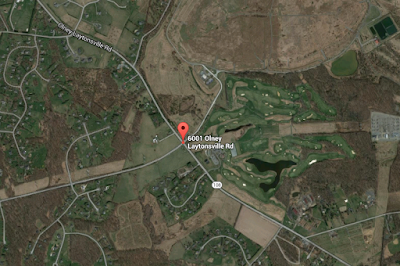 Let's face it, if there was a good site, the County would have acquired it long ago. Mayor and Council on Chestnut Lodge: "We are starting the process over"
A discussion of how to proceed on a revised project plan submitted early this month for the Chestnut Lodge site ended with a new beginning last night. 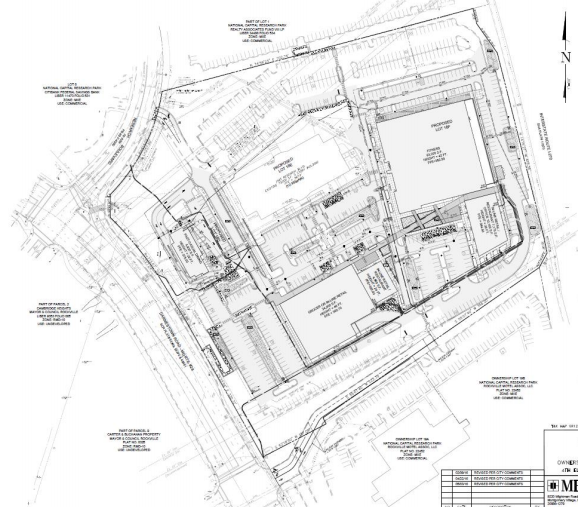 The Mayor and Council advised Rockville's zoning chief, Jim Wasilak, to essentially consider the revision as a new project being submitted. That was not the preference of developer JNP Chestnut Lodge, LLC, whose representative told the Mayor and Council that this was merely a minor revision that actually reduces the size of the project. But the controversy over the plan is so great, and so many questions remain unanswered, that officials are seeking the maximum public input and discussion. 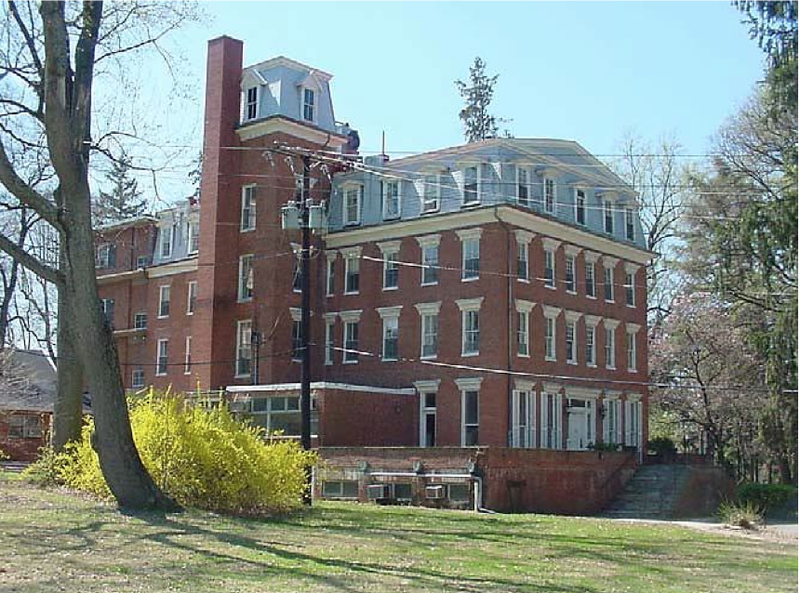 The original Planned Residential Unit (PRU) agreement required a multi-family condo development, and a restoration of the historic Chestnut Lodge psychiatric facility main building. Despite the Lodge burning down in a suspicious fire in 2009, opponents of the new townhome proposal argue the PRU remains in effect, and requires the development to build a structure similar to the one lost. It also was predicated on the requirement for condos, as opposed to the more horizontal townhome design with only a handful of units. Mayor Bridget Donnell Newton said she would like staff to explain how the existing PRU can be modified when the circumstances have changed. "I would like to see an explanation...how is this respective of the PRU that is on the property?" she asked. Councilmember Mark Pierzchala said he also has not received satisfactory answers to his questions regarding whether or not the proposed project meets the Secretary of the Interior requirements. Councilmember Beryl Feinberg said she would like to have a public hearing. Pierzchala said his proposed process included one before the Mayor and Council, but that he didn't want to tell the Planning Commission how to conduct its process. 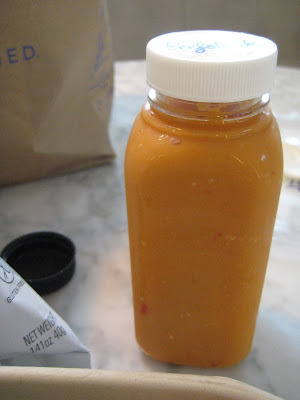 "We need to be very clear that we are starting the process over," Newton told staff. Wasilak said he would consider taking all of the steps proposed by the Mayor and Council - area meeting, mail notification to parties of interest, Historic District Commission review, Planning Commission review, and Mayor and Council public hearing and review - and add a staff review of the revised plan. Pierzchala said it is important that the HDC know it has the authority to go beyond a courtesy review in this case, and give its opinions on the merits of the project, and its impact on the surrounding historic site and district. "I second it, and think it needs to come in the form of a memo from the HDC to the Mayor and Council," Newton said. Wasilak promised to formally outline his plan for how to proceed by the end of the week. The Montgomery County Council will take up the controversial school bus depot issue this morning, but the Council staff report makes an equally controversial set of recommendations. It recommends parking Montgomery County Public School buses at the Carver Educational Services Center, and at 1000 Westmore Avenue, a property already purchased by the County for that purpose. Or, to use their convoluted language, they are "not recommending against" using them for bus parking. It is hard to believe that staff could recommend this, after the ghastly litany of County abuses of the Lincoln Park neighborhood that was recited during a public hearing before the County Planning Board last week. 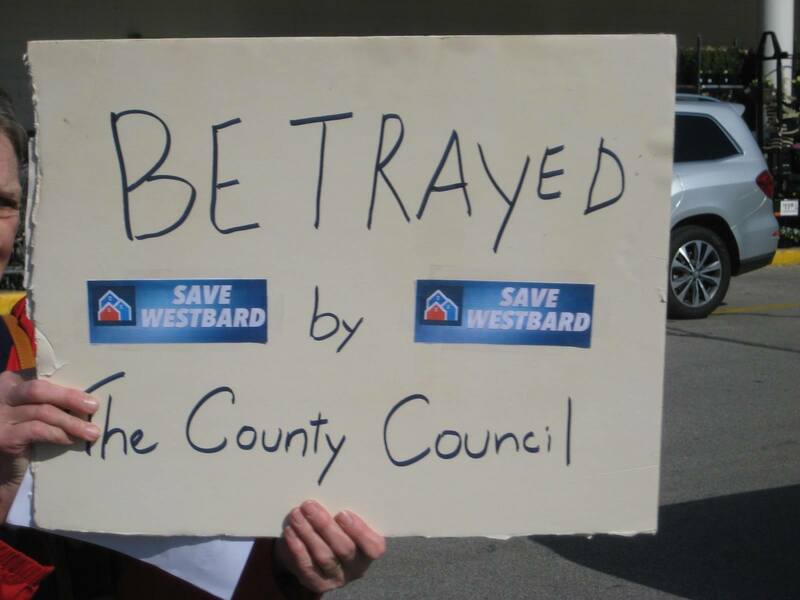 That hearing concluded with the board recommending against acquisition of the Westmore site by the County - an irrelevant vote, as the County had already secretly purchased the site. 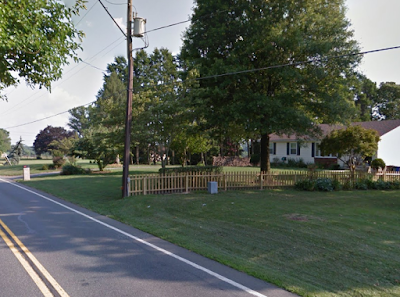 Council staff has also put the Blair Ewing Center on Avery Road back on the table, sure to be highly controversial in both Rockville and Aspen Hill. Use of the Blair Ewing Center site would create a domino effect, requiring moving the alternative education facilities there elsewhere. 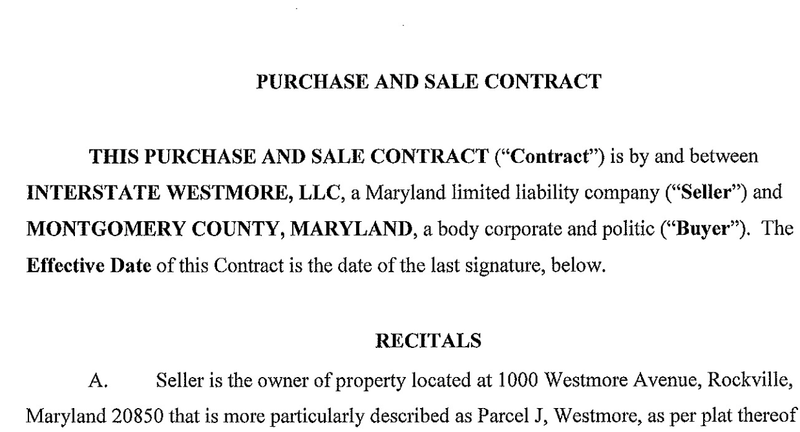 "Elsewhere" was English Manor Elementary School in Aspen Hill when this last came up. Avery Road was ultimately dismissed as a bus site after a well-organized opposition effort by Aspen Hill residents. I am shocked - shocked - that Avery Road has risen from the dead. Of course, I'm joking, as I've been predicting this would happen for several months. The other site proposed for a permanent depot is the Oaks Landfill at 6001 Olney-Laytonsville Road. Both sites, particularly Olney-Laytonsville Road, are still within 6:00 AM-bus-honking earshot of nearby houses. We won't know the Council's reaction to the recommendations until later this morning. But the Council staff's intent seems to be the same as the County and MCPS: Pit neighborhoods against each other, and ultimately drop the depots where they conclude political power is weakest. Residents are simply gladiators in the arena for the Emperors-with-no-clothes' entertainment. The interesting twist here is that the residents affected by the Carver, Westmore and Avery Road sites have all been politically strong in their response so far. The report suggests removing the Public Safety Academy and Gude Drive Landfill sites from consideration. And it recommends the Council not approve the Declaration of No Further Need for the existing Shady Grove bus depot on Crabbs Branch Way. In doing so, it assumes the County Executive can change the terms to not require the depot to be vacated and turned over to the developer in 2017. The County (a.ka. you, the taxpayer) could ultimately face legal action from that developer, which already has approval for 345 townhomes and 344 apartments on that property, known as Jeremiah Park. 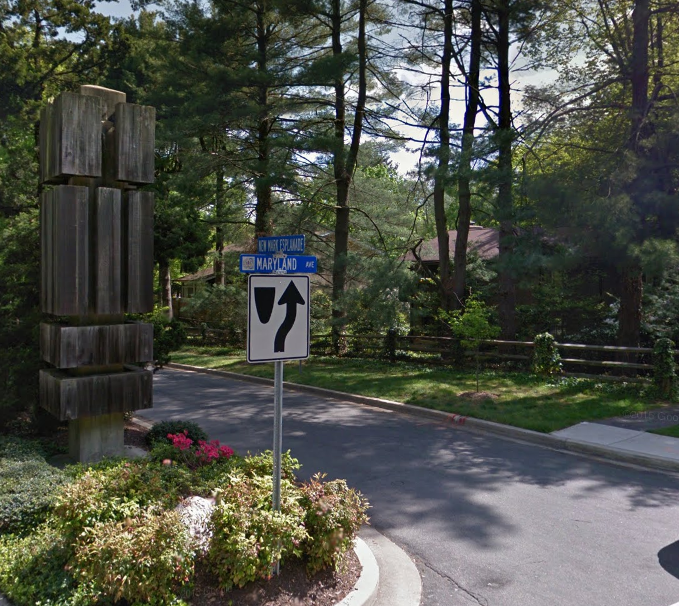 JNP Chestnut Lodge, LLC is legally allowed to submit a revised project plan amendment under City of Rockville code Sec. 25.07.07.14, Final Project Plan Application, a staff report posted ahead of Monday's Mayor and Council discussion says. The only question is how the revised plan should be handled. 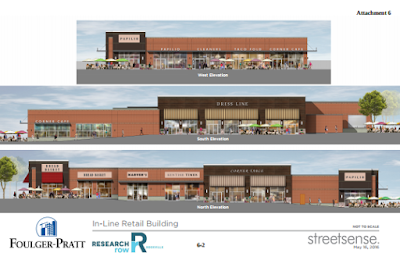 That plan was submitted on June 1, and some residents and historic preservation advocates have complained that they were not notified of the new plans by the developer. 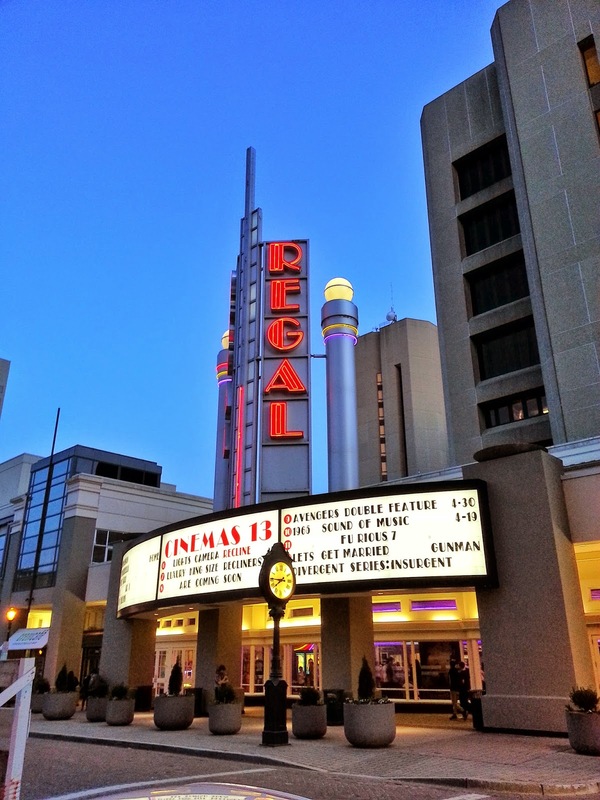 Rockville's zoning chief Jim Wasilak has the authority to determine whether a revised plan requires additional steps and notification, or even has to be submitted as an entirely new application. Wasilak is asking the Mayor and Council to advise him on the process, given that the Mayor and Council will be the determining authority for the plan amendment. The report says that the review process for the revised plan could consist of some or all of the following options: "written and electronic notification by the applicant as required for application submission and public meetings, an Area Meeting with the community conducted by the applicant, staff Development Review Committee (DRC) review and recommendation, Planning Commission review and recommendation, another Mayor and Council public hearing or another Discussion and Instructions session." According to the report, the Mayor and Council could even determine that no additional steps are necessary, and then give staff instructions on how to proceed. The applicant is proposing to reduce the proposed townhome building's footprint to be 10% larger than the historic Chestnut Lodge that stood on the site before it burnt down in a suspicious 2009 fire. And it is asking to reduce the number of townhome units from 7 to 6. 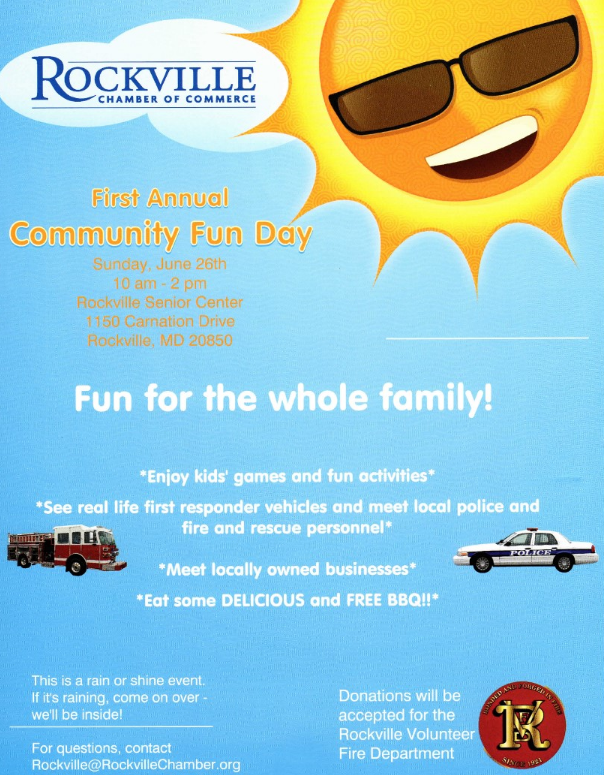 The Rockville Chamber of Commerce will host its first annual Community Fun Day on Sunday, June 26, 2016 from 10:00 AM to 2:00 PM at the Rockville Senior Center at 1150 Carnation Drive. Get ready to meet local businesses, while kids enjoy games and activities. They'll also be able to see police and fire vehicles and meet the first responders who use them. Everyone will enjoy free BBQ. The event will go forward rain or shine, as the Senior Center has extensive indoor facilities that can be used if necessary. Donations for the Rockville Volunteer Fire Department are not required, but will be welcomed at the event. 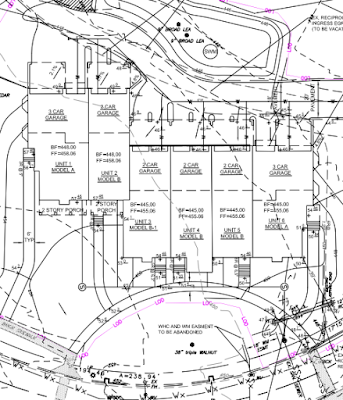 Developer JNP Chestnut Lodge, LLC has submitted a revised project plan amendment to the City of Rockville for its proposed townhome development at 500 W. Montgomery Avenue. The move has stirred controversy among residents and elected officials alike. Last week, a City email stated that a revised plan had been submitted, and that the Mayor and Council would potentially vote on it next Monday, June 20. Subsequently, additional City emails were sent out to clarify that the Mayor and Council would instead be discussing "the review process" for the unusual filing. The original amendment failed to achieve majority support from either the Planning Commission or the Mayor and Council. It is now up to the City zoning chief to determine what the appropriate process is to follow in this case. The email confusion, and the apparent fact that the new revised plan was not shared with any of the parties of record by the developer, brought former mayor and current West End Citizens Association President Larry Giammo and Peerless Rockville Executive Director Nancy Pickard out to address the issue during the Community Forum of last night's Mayor and Council meeting. During Old/New Business later in the meeting, the Mayor and Council discussed the issue further, but no action was taken in terms of voting. One question debated was whether or not the Mayor and Council should seek advice from outside counsel on the matter, or rely on the City Attorney. Of what little information is available as of press time, the revised plan reduces the number of townhomes from seven to six. The controversial rear design, including garages, remains intact. Most of the filing simply makes the case for why this plan complies with both the City master plan and historical preservation standards. By removing one unit, the length of the project is slightly reduced horizontally, but still does not resemble the original lodge. Opponents of the townhome plan have argued that the original agreement between the City and the original developer remains in effect, and requires a multifamily condo building. 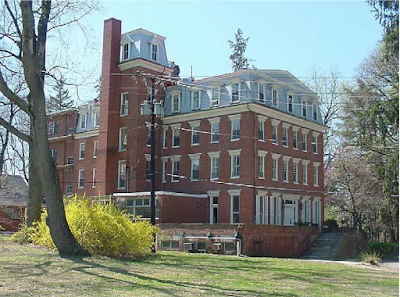 With Chestnut Lodge having burnt down in 2009, their position is that the developer must replace the former mental institution with a building of similar proportions, and with the type of housing units that the agreement was based upon. The new footprint in the revised plan now increases 10% over the original lodge's. What the next step is, will be determined by the Mayor and Council next Monday evening. T. Eloise Foster, Montgomery County Executive Ike Leggett's nominee to the Washington Suburban Sanitary Commission, was sentenced for driving while impaired in Howard County in 2007. She was sentenced to unsupervised probation, alcohol counseling, 10 hours of community service, and fined $200, according to The Baltimore Sun. Foster was pulled over by a Maryland state trooper on Interstate 95 in Howard in June 2007. She failed several sobriety tests, and was charged. 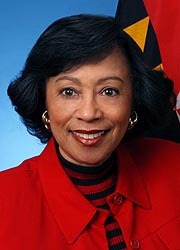 Foster was budget director for the state of Maryland at the time. Leggett, who was a victim of a drunk driver himself in a 2009 crash, called for tightening drunk driving laws in December 2015. The County Council is scheduled to interview Foster Tuesday morning at 11:00 AM. They are then scheduled to confirm her appointment 55 minutes later. "The Montgomery County Council joins our Police Chief in calling for the State of Maryland to strengthen our laws against drunk and impaired driving," Council President Nancy Floreen wrote to the Montgomery County delegation to the Maryland General Assembly in February of this year. Drivers with interesting driving records seem to be joining WSSC often these days. The Washington Post reported that the agency's latest chief was involved in five accidents while driving WSSC vehicles. She totaled one of those WSSC vehicles in a rollover accident on the Capital Beltway, the Post reported. A process that began in 2012 has culminated in the nomination of New Mark Commons to be listed on the National Register of Historic Places, pending review by the Rockville Historic District Commission. That review will take place at the commission's next meeting, on Thursday, June 16. Listing on the register gives an honorary recognition of the historic significance and character of a place, but does not prevent architectural changes to homes, or require the review of the HDC to make such changes. It does require any project involving federal funds, licenses or permits to be reviewed by the federal agency involved to determine if the project will have an adverse impact on the historic character of the listed property. Inclusion on the register also makes communities and homeowners eligible for historic preservation grants. The nomination acknowledges New Mark Commons' place in history as an example of "Situated Modernism." Builder Edmund J. Bennett and architects Keyes, Lethbridge, & Congdon emphasized open space, amenities and mature trees. The community was promoted as "a Twentieth Century village that's one foot in the future and a step back to a better time." Like its contemporaries Reston and Columbia, it also features a lake, even though it reduced Bennett's profits to build it. Included in the staff report and attachments are many other interesting details on the development and features of New Mark Commons. It's very much worth a read for those interested in Rockville history, planning, architecture, and the times in which this neighborhood was constructed. The Rockville Bike Hub is hosting a block party and bicycle drive this Saturday, June 11, outside Revolution Cycles at 5750 Fishers Lane near the Twinbrook Metro station, from 3:00-6:00 PM. They are especially seeking bikes for kids in 1st through 5th grade. Kids get the bikes as a reward for completing a small service project, as part of a project co-sponsored by the City of Rockville. Adult bikes are also welcome, and will be distributed for training purposes, or for distribution by Bikes for the World. Get your bike checked or minor repairs when you visit, or try out an E-bike. VisArts will offer bike-themed crafts, and there will be games and activities for the whole family. For the adults, there will also be beer from 7 Locks Brewery. 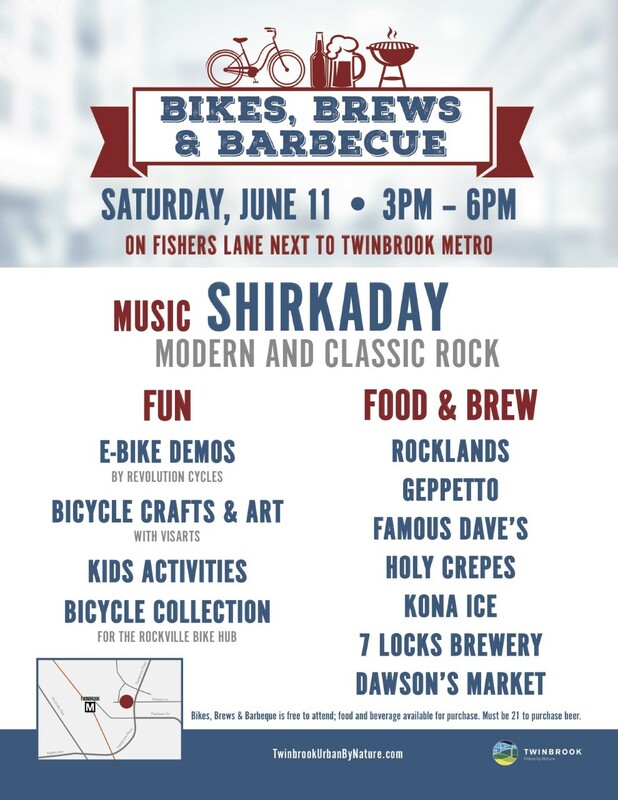 For everyone, there will be food from local restaurants, and live music by modern/classic rock band Shirkaday.